Psalm 139 is a beautiful theological treatise on the attributes of God. The first six verses expressing His omniscience begin with an emphatic declaration: “thou hast searched me, and known me” (v. 1). This truth statement emphasizes the intimacy with which God is acquainted with us, even in the minutest details of our being. The same intimacy applies to our every act, our “downsitting” and our “uprising” (v. 2), and furthermore, He knows the motives behind our actions before the thought even crosses our mind: “thou understandeth my thought afar off” (v. 2) “and art acquainted with all my ways” (v. 3). Not only is God aware of our present, but He is equally knowledgeable of our past and of our future: “Thou hast beset me behind and before and laid thine hand upon me” (v. 5). God is ever present with us. “Whither shall I go from thy spirit or wither shall I flee from thy presence?” (v. 7). There is nowhere we can go to escape God’s presence – nowhere in the vastness of heaven (space) nor in the abode of the dead (Sheol) (v. 8). There is no darkness deep enough to hide us from His presence (v. 11-12). 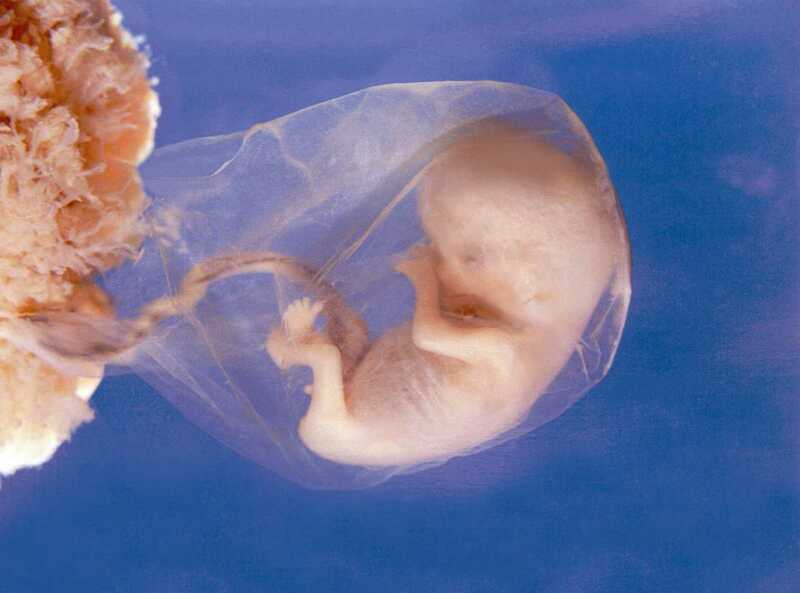 God’s omnipotence, His unlimited power, is demonstrated in His creation, especially in the creation of the human body. “I am fearfully [awesomely] and wonderfully [lit. uniquely] made” (v. 14). The human body is composed of over 30 trillion (30,000,000,000,000) cells, each of which is a marvel of design and complexity. What is more amazing is the fact that evolutionists examine a single human cell and attribute it to time and chance. It is no wonder that God’s Word proclaims: “The fool hath said in his heart, There is no God” (Psalm 14:1). These days the word “awesome” is used to describe anything from a really juicy hamburger to a thrilling ride on the Texas Giant rollercoaster. What a sorry devaluation of the word! “Awesome” can truly only be said of God. If we would but take the time to wonder at the awesomeness of God, surely we would not have the words that God gave to David in this Psalm. Surely, we would be left speechless – without words. Surely, the revelation should move us from the realization that we are intimately known to the desire to be better known and to be re-formed more into His image. Surely, we should fall on our faces before Him and plead, “Search me, O God, and know my heart: try me, and know my thoughts: And see if there be any wicked way in me, and lead me in the way everlasting” (vv. 23-24). What else would there be for us to do! 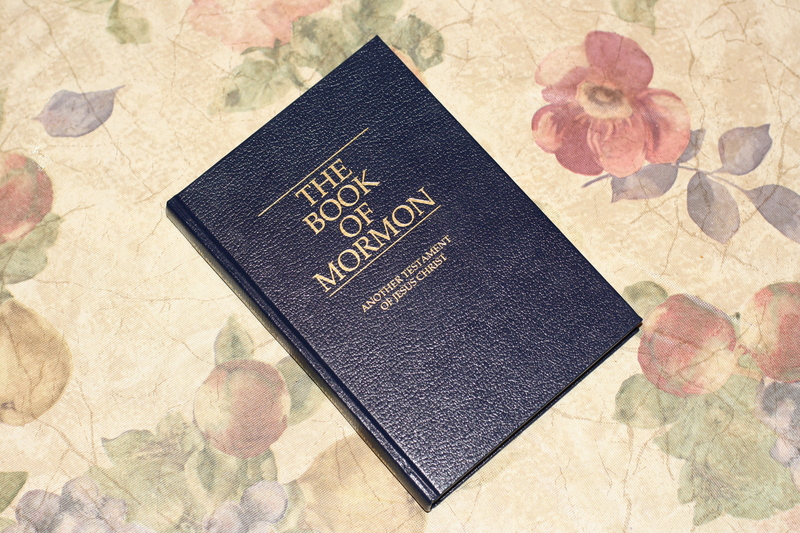 If any man preach any other gospel unto you than that ye have received, let him be accursed. From the very beginning of church history there have been those who “would pervert the gospel of Christ” (v. 7). Probably the first and most prevalent perversion of the gospel was that of adding works to “the free gift [that] came upon all men unto justification of life” (Romans 5:18) contrary to “the light of the glorious gospel of Christ” (2 Corinthians 4:4) namely that “by grace ye are saved through faith; and that not of yourselves: it is the gift of God” (Ephesians 2:8). The idea that one must perform acts of righteousness for the absolution of sin is as old as the fall of man. “And the eyes of them both were opened, and they knew that they were naked; and they sewed fig leaves together, and made themselves aprons” (Genesis 3:7). Their efforts to hide their sin was futile, for only God could adequately cover their sin by the shedding of innocent blood (Genesis 3:21). All the religions of the world and even some Christian denominations demand certain acts or rites to be performed in order to ensure salvation or eternal life. Only the “glorious gospel of Christ” places the burden of man’s redemption fully on the shoulders of God Himself, and removes from man any occasion for boasting in works of self-righteousness (Ephesians 2:9). The message of the Gospel is this: “that Christ died for our sins according to the scriptures; And that he was buried, and that he rose again the third day according to the scriptures” (1 Corinthians 15:3-4), and “if thou shalt confess with thy mouth the Lord Jesus, and shalt believe in thine heart that God hath raised him from the dead, thou shalt be saved … For whosoever shall call upon the name of the Lord shall be saved” (Romans 10:9-13). Any teaching that even remotely suggests that salvation requires anything other than faith in the simple Gospel of the Scriptures is anathema. “Neither is there salvation in any other: for there is none other name under heaven given among men, whereby we must be saved” (Acts 4:12). If you had not eaten in over two weeks and you found a dollar, would you spend it on a burrito (a sure thing) or on a lottery ticket and a chance to win $10 million (not a sure thing)? If all you have to do is pick five correct non-repeating numbers in no special order, your chance of picking all five correctly is 1 in 71.5 million. If, on the other hand, the numbers must be in the correct sequence the odds decrease to 1 in 8.6 billion. With those kinds of odds, I am sure I would buy a burrito rather than a lottery ticket! 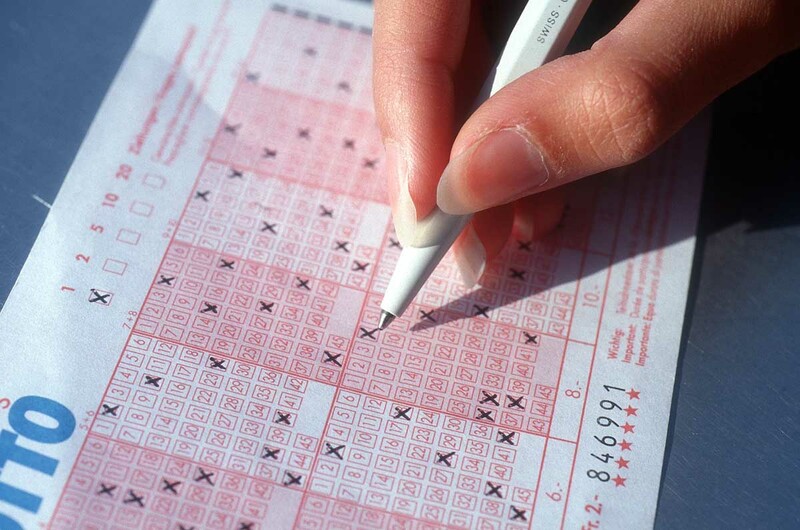 The odds for spontaneous generation of life from non-life are greater than that of winning the lottery. “So even by the wildest ‘guesstimates,’ the universe isn’t old enough or big enough to reach odds like the 1 in 103,000,000 that Huxley, an evolutionist, estimated as the odds against the evolution of the horse.” With odds like these, one may as well consider evolution a veritable impossibility. When one considers the irreducible complexity of the simplest single-cell bacteria, the evidence should suffice to convince even the most recalcitrant skeptic, provided he has not abandoned all reason. 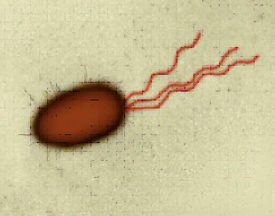 The motility of a bacterium is accomplished by a whip-like tail called a flagellum. “The flagellum is constructed of 40 proteins, 10 of which are used in other structures in the cell, and 30 of which are unique to the flagellum. The flagellum will not function unless all 40 proteins are put together the right way … If the flagellum is missing even one protein, it will not function.” I might also add that if only one protein is out of order, the flagellum will not function. Like creation, evolution cannot be proven scientifically or mathematically for that matter. It takes an enormous amount of faith to believe “in the beginning hydrogen.” Therefore, the only thing we can do is to consider the scientific evidence and see which origins model makes more sense or is more reasonable. First of all, the universe and all that is in it “looks” designed. Design demands a Designer. Consider again the bacterium’s flagellum. The flagellum has a motor that is about one-tenth of a micron in diameter, and a tail that turns at up to 100,000 rpm and acts as a propeller. The motor can reverse direction within a quarter turn. The electric motor of the flagellum is precisely analogous to our electric motors, but on a fantastically smaller scale, and it functions better than anything we can make. One of the smallest man-made electric motors is 2 mm in diameter and was invented for use in boring plaque out of coronary arteries. It involved the work of visionary cardiologists, as well as biomedical engineers. These scientists, of course, stood on the shoulders of previous electricians, mathematicians, and engineers. But the bacterial flagellum is 20,000 times smaller than this motor, works better, and turns faster! 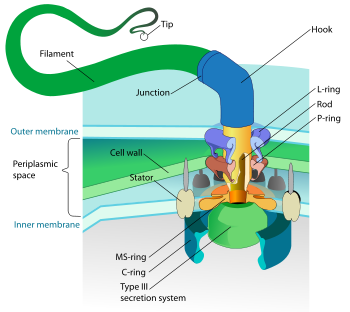 The flagellum is fastened securely to the bacterial cell wall and has all the analogous parts of a man-made electric motor: It has a hook, or universal joint; a bushing; a rod (drive shaft); and an electrically-charged rotor and stator. Intelligent scientists and engineers took years to design a tiny micro-motor that is clunky in comparison to the motor that drives the bacteria’s flagella, and yet we are amazed at the genius of the men that designed it. But therein lays the answer: men with intelligence designed it; it did not “evolve” on its own from an assortment of miscellaneous junk parts. The same is true of the bacterial flagellum; it is of impeccable design, and only a fool will attribute its existence to the “blind watchmaker” of evolution. 1. The primordial explosion should have propelled all the matter/energy of the cosmos out radially from its center, and by the principle of conservation of angular momentum, none of it could ever thereafter have acquired any kind of curvilinear motion. Yet there are all kinds of curving and orbiting motions of the stars and galaxies of the cosmos, a situation that seems quite impossible if the universe began with the big bang. 2. Sensitive measurements in recent years have increasingly been showing that the background radiation is not homogeneous and isotropic (that is, the same in all directions), as it should be if it had been produced by the big bang, but is “anisotropic” in all directions. 3. The universe is anything but uniform in large-scale structure, as both the big-bang and steady state theories require, but instead is full of huge agglomerations of matter in some regions and vast empty spaces in others, scattered around the cosmos in far from any uniform manner. 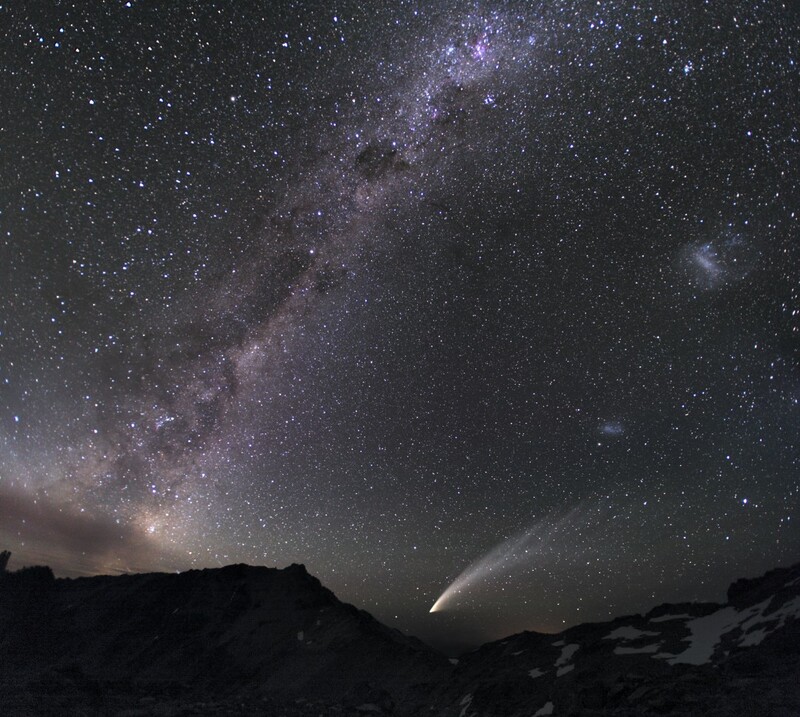 Some astronomers are now trying somehow to justify a primeval lumpy big bang! 4. In the context of the primeval fireball, it is hard to justify the accumulation of any amount of matter in any one location such as a star. If the explosion is driving all galaxies apart in the resulting expansion, how could it fail to drive all atoms apart before they came together in galaxies? “In the beginning hydrogen?” Not hardly. Order cannot come from disorder. Life cannot come from non-life. Evolutionists will attempt to deny, or otherwise skirt the issue, but the fact remains that even in the simplest form of life, all the creature’s parts must be present concurrently or the thing will not live, let alone survive. Evolution from non-life would require that all the necessary proteins and amino acids come together instantaneously and in the proper configuration in order to produce life. This has been attempted in the laboratory, and what was touted as a great success (the creation of a few amino acids) was in fact a miserable failure. The resultant “building blocks” of life were the wrong blocks, and they did not fit together in any way to produce life. Of course, that was conveniently left out of the headlines. This fact alone should discredit the illusion of evolution, but the averse will adamantly cling to the myth claiming that all life originated from a single source billions of years ago. Although it has been shown that spontaneous generation is next to impossible, let us assume an original source from which all life sprang. Surely the fossil record would bear some evidence of transitional forms of one kind of life changing to another. Without a doubt, several “proofs” have made the headlines only to be exposed as frauds, the lie to be revealed only in the most obscure sections of the printed media. The fact is that the fossil record is remarkably silent on transitional forms. Everything in the fossil record appears suddenly and fully formed, but bless their hard little hearts, the evolutionists continue their desperate search. The Bible says that God created everything: space, time, matter/energy, earth, sky and sea, all plant life, sun, moon and stars, sea animals, land animals and at the top of His creation was man – created in the image of God. All things were created in six 24-hour days, and at the end of each creation day, God declared His creation “good.” Then on the final day of creation, He declared His creation “very good” – that is to say, “perfect.” Declaring that each act of creation was good suggests that there was no need for improvement, i.e. “evolution.” Plants were to bear seed “after its own kind.” Animals were to reproduce “after their kind.” This is what the fossil record bears out. Neither creation nor evolution can be proven scientifically, but when compared side by side, creation, as recorded in the Bible, makes much more sense. “In the beginning hydrogen?” No! In the beginning God! Morris, Henry M., The Biblical Basis for Modern Science, (Green Forest, AZ, 2008), pp. 132-133. 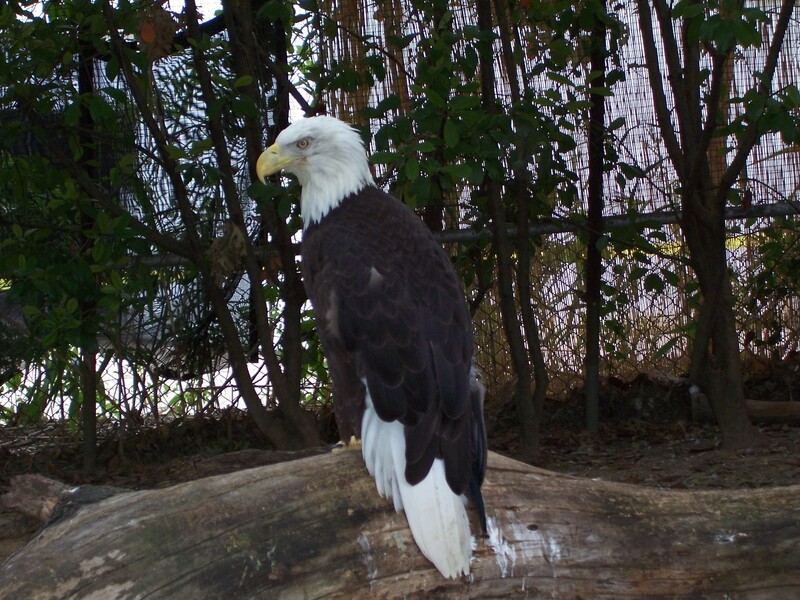 “Just A Thought” (http://justathoughteec.blogspot.com) has been renamed to “Ernie’s Musings” and moved here to WordPress.com! I hope to find a wider audience here. The old location will stay up for awhile as it contains archives going back several years. I hate to see all that good work go to waste! Perhaps, if I can find a way, I will move those archives here. In the meantime, look forward to reading my stuff. I write mostly on biblical themes, but I try to keep them relevant, which is not difficult as the Bible is ALWAYS relevant. Read my postings and you will see what I mean. I also look forward to hearing your comments whether you agree or disagree. If you disagree, I only ask that you keep it respectful and free of gutter language (if you know what I mean). I will control the conversation only to the point that I will not allow objectionable language or outright disrespect. We can disagree and still keep it decent.